When I was first broached with the opportunity to write this article, I was met with an all too familiar visceral doubt, to read or to write, to lead or to follow. As you can already deduce, I choose to lead. But this article isn’t about me, it’s about the challenges all professionals face when poised with the opportunity to follow, learn, or lead. Perhaps you think my portrayal is callous, or short-sighted, but I caution your interpretation, that visceral ambition is the very root of leadership, the very root of confidence. Confidence is the end all say all and the bridge that all followers who are now leaders have crossed. That pure inflection point when you decided to opine, decided to share your opinion and accepted the fear of being right or wrong. Fear is what prevents many from confidence, and in turn leadership. Fear of succeeding (believe it or not), fear of failing, fear of responsibilities, fear of facing fear. Can you be bred with confidence, lack of fear, thus leadership characteristics? Of course. Can you learn to break down these barriers and response to adversities? Of course. Can you face adversity as if that fear, that driving force was your companion and not your enemy? Of course. Simply put, anyone can become a leader, anyone! Don’t misunderstand me, or underestimate the challenge presented. True leadership takes knowledge, patience, observance, dedication, soul and a willingness to explore. Not everyone will achieve greatness, but most won’t even try. Thus, I present the ever-long conundrum between true leadership and the portrayal of true leadership. One’s inability to be honest with themselves generally leads to the later, a hubris of uncontrolled arrogance that sets the tone of leadership through aggression. This is not real leadership, real leadership is educated, finessed, controlled and delivered in a manner that best suits the audience, not the presenter’s ego. As you might imagine, leadership knows no age, color or creed. It can be achieved by us all. 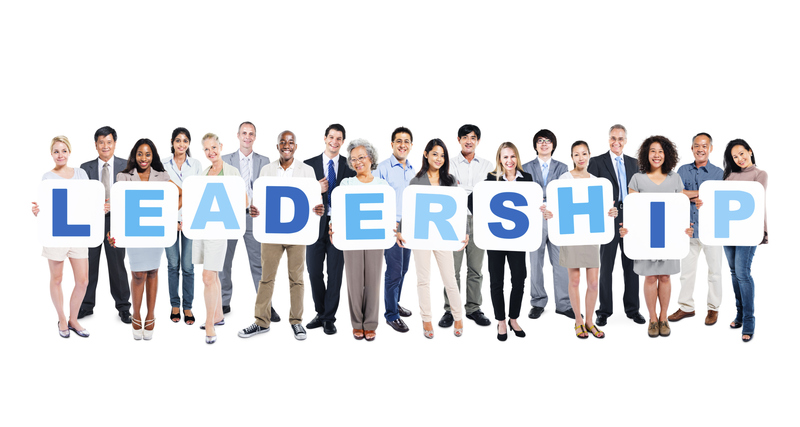 Many believe that leadership is acquired through years of experience, learning, testing, failing and ultimately succeeding in the form of leading. I too believe this is one great form of leadership, but the working world today is very different than it was 20, 40 or even 60 years ago. Today, the headlines are influenced by new, young up-and-comers, drop outs, or Harvard grads who enter the working world with a startup, those who will never know a day working for others, or not leading. I view this as a very positive change in leadership, not because I undervalue experience, tenure, and my seniors, but because I believe in the past our working world made many wait for their leadership opportunities. In other words, we were, and perhaps are still, much too structured, we outline a corporate ladder and turn ignorant to looking outside of it. But these up and comers, this millennium demographic are changing the game, they are shattering the misconceptions about structure and almost every aspect of a working environment of the past! In case you have missed the last 15 years, a revolutionized working environment is more popular than kale, gluten-free … you get the idea, it is in and it is here to stay! Why did this happen? The answer is easy to me—employee engagement! While antediluvian companies were focusing on HR tactics of the past, new companies came to speak to the individual and when they did, they did so through almost every tangible aspect of their day to day. They drove a simple message to top tier talent: We value you; we acknowledge that you are leaders, we will humanize the corporate environment in order to support your production, life, and most importantly your preferences, your value of life/work. Genius is what I say. Barriers were broken, corporate attire, scheduled lunches, standard cubicles were thrown out the of the office. The psychology of the workplace took center stage. Leaders made this change. My company, Metro-West Appraisal, is not a Google, but a mom and pop that has grown in great numbers. With 45 employees at the corporate office and 200 in the field, our number one goal is to make employees feel like that are working for the company that got started 28 years ago … to make everyone feel like that have an impact, and make everyone feel like part of the family. Thus, on top of corporate provided culinary events, we have Kentucky Derby events, baseball group gatherings, quiz events, days at the lake, team exploration days, etc. We go above and beyond to ensure that we are a part of the community, while creating a micro community among us. We do this because we care, but we also do this because we value our leaders and personnel, and value the only true value that any company has—the building blocks of leaders that make it. It’s one thing to keep great talent, but it’s another beast in itself to attract great talent. Attracting great leaders is always a top priority, and admittedly it isn’t easy, nor is it perfected. Securing a top level proven industry leader with countless years of experience and leadership is, as you can imagine, an easy identification process. The difficult identification process comes when you have to identify young, less experienced individuals who haven’t led, yet have the desire and skill set to do so. From a corporate perspective, we believe that developing mid-level professionals into high level executives holds tremendous value. With this core approach and philosophy, we believe we can groom leaders to obtain skills beyond the scope of our company. In conclusion, each day I find myself admiring a great leader and being thankful for the leadership responsibilities provided to me. I would encourage all, individuals and corporations, to face your fear, let your confidence rise and lead to greater heights. Seeking, engaging and retaining great leaders will always be a challenge, one that should be met with new profound barrier breaking strategies, for leaders from leaders. Most importantly, humanize the process, humanize the environment and humanize your approach. Hopefully, I have done just that with this piece. Leaders of today and tomorrow … voice your opinion. I’m listening. Benjamin Schomer is SVP of strategic partnerships for Metro-West Appraisal Company LLC. He may be reached by phone at (313) 309-4180 or e-mail bschomer@metrowestappr.com. This article originally appeared in the April 2015 print edition of National Mortgage Professional Magazine.